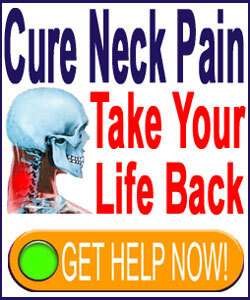 Readers write in all the time asking for more information on Dr. Sarno neck pain theories, as they put it. We have always made it a top priority to provide all the latest information on Dr. John E. Sarno (RIP) and his work in the sphere of tension myoneural syndrome. Neck pain sufferers are statistically the second largest group of patients who subscribe to Sarno’s theories, beaten out only by the literal hordes of lower back pain victims. I found Dr. Sarno’s work many years ago, was treated by him personally, recovered and found much inspiration in his work. This narrative details TMS and neck pain. We will examine how mindbody therapies offer hope for many patients who can not find relief from traditional medical or complementary medical care practices. 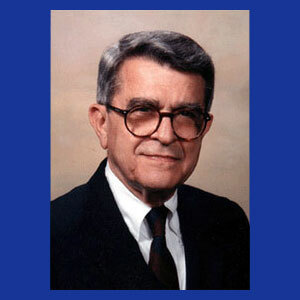 In his various books, Dr. Sarno has created and continually revised an entirely new causative theory of chronic pain. He calls this condition TMS, or tension myositis syndrome. Sarno begin working with back pain sufferers, but has expanded his offerings to patients with a wide range of potentially psychoemotionally-driven health issues. Although Dr. Sarno does not detail his own struggles with chronic pain to a large or personal degree, he does admit to being afflicted by some of the same conditions he treats over the many, many years of his life. In his treatment approach, Sarno denies the power of most structural issues to cause pain and focuses almost exclusively on the power of the mindbody interactions and how repressed and suppressed emotional issues can create physical symptoms within the body. He therefore uses purely psychological techniques to treat patients, despite being a traditionally-trained physician who practices physical rehabilitative medicine. Having grown to know Dr. Sarno to a small degree, I found him to be incredibly driven and dedicated to his cause. Originally hailed as a hero, then shunned by many in the medical system as a pariah, his work continues and he is now once again seeing positive light shed upon his work by medical critics. The fact that mindbody interactions have become big news in modern medicine certainly helps, with all manner of care programs now available for patients with everything from chronic back pain to cancer. Even the medical education system is starting to encourage new doctors to learn more about the causative and curative powers of the mind during routine training towards an MD or DO degree. Dr. John Sarno was one of a kind. He was not perfect, but his work will go down in history as a game-changer. I respect him and acknowledge his many years working in the medical system, although it seems that the world of chronic pain sufferers needs him more than ever before. To learn more about Dr. Sarno and his work treating neck pain, go directly to the source. Read his books and apply their lessons. They can all be found in your local library or can be purchased online. A final thank you from this author to his doctor. As an aside, I wish that there were group therapy programs set up to help those who fell through the cracks and can not afford private sessions at $200+ a pop. Dr. John E. Sarno passed away on June 22nd, 2017. He will be sadly missed by his loyal patients, as well as by the greater medical science industry. His books are still available and we are proud to complement his treatment program with our own proprietary Cure Back Pain Forever Program, cited by many as a more complete and helpful path towards a pain-free life. It is no surprise that our program has earned top honors from many noted doctors and healthcare organizations, since it is safe, holistic, effective and acclaimed by users with a wide range of diagnoses.